Brace yourself for one twisted trip down Squared Survival lane asyou take on some terrible square (and squareish) baddies inSurvival Squared.Equip yourself with one of ten special weapons andabilities to crush the threat of some square things trying todestroy you for no reason at all. Fight against square monsterthings that closely resemble:-zombie squares-jumping squares-flyingsquares that tries to hit you-and giant floating squares that shootlasersFace your destiny in the square world with weapons like (somehave wait timers to refire):-a rapid-fire pistol-pump-actionshotgun-big red lasergun-a gnarly whip-a clone of yourself that youcontrol-bombs-a shield…that blocks things-a sword that cuts throughsquares with quality handling-the ability to teleport anywhere onscreen-and the ability to double jump Get locked and loaded withlists of stuff as you compete your way into the top spots of theleaderboard in this epic squared off challenge. Hailing from the people who brought you other single tap games likeDive! and Finger Joust comes the most epic game of the Hard seriesso far (until another one is released): Simple Hard!Take overanother thrust/hovering style game as you simply move up, and downin a mad attempt to score points to rescue...THE TOP POSITION OFTHE LEADERBOARD!Suit up for the craziest features like:-Google PlayLeaderboards for maximum score bragging-Sounds, for aestheticallypleasing reasons-The tightest single touch controls of 2015(maybe)Deny yourself of any graphical pleasure in this simple, butdeadly game of up and down! Life has never been so short for the Pygmy frog until now!Take onthe role of a Pygmy frog who has one chance in life to escape theinfamous Frog-eater snake. Use an array of powerful abilities suchas: moving left, and moving right to outwit and outlast thathungry, hungry snake!Scale the long-forgotten tree of life withPygmy frog abilities and features like:-The left button-The rightbutton-Leaderboards for good measure-And the ability to createfrogs ad infinitum Have your life flash before your tiny frog eyesas you take on death itself (in the form of a snake) as youleapfrog leafs in a desperate attempt to not call this a marathonof epic proportions! In the heart space, just when you run out of fuel, remember, no onecan hear you scream!Take on the next level of asteroid destructionaction with: No Joy Go.Take control of a ship aimlessly driftingspace and take survival to a whole new level as you fire your squreships cannons into square asteroids. But since you are going alone,you've got the hookup with:-Extra ships-Shields-Extended rangelittle red square bullets that travel at a questionable pace-Aleaderboard that helps you in no discernible way There can only beone winner between this man and rock battle, and you stand littlechance to walk away without nightmares about square asteroidsdestroying your tiny ship.Get ready to embark on the most epicjourney of slow-motion moving as you rock the asteroids into dust! Think you have what it takes to cross the rope? Challenge yourselfwith the new game Derp Rope. 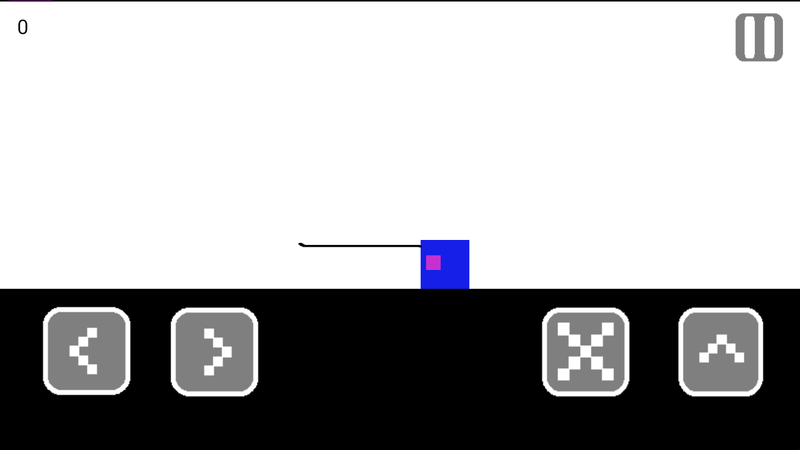 As the player you'll have to steadilyhold your balance while walking across a tight rope hundreds offeet in the air. Think it's easy enough? 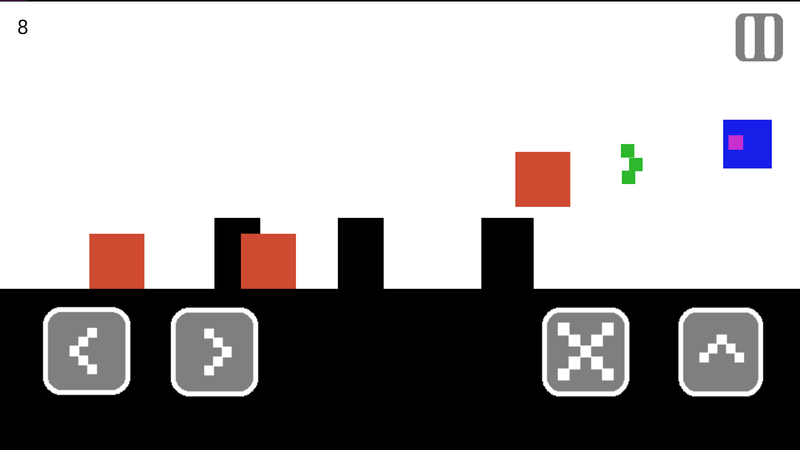 With all new featuresadded from Derp Runner, obstacles will be coming at you to try andknock you off with such features as:-A green rope-10 wholeseconds-A score counter-And some other deceptively simple stuffHoldyour balance and cross the rope to the end to secure victory! 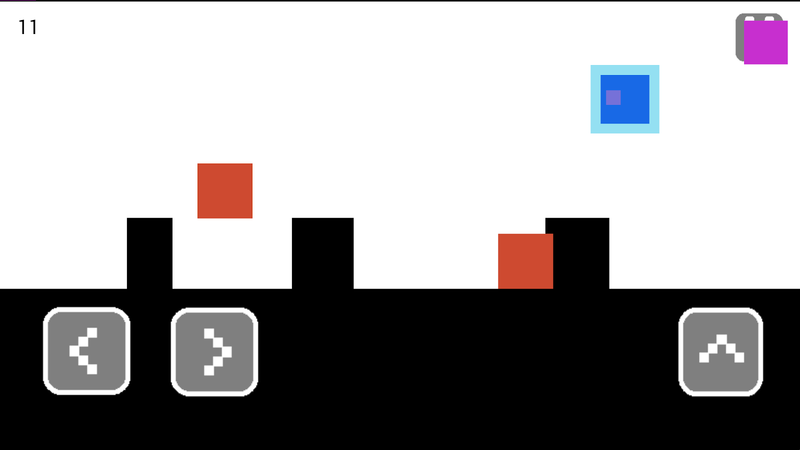 SquaRed is a game about timing, quick reflexes... and SQUARES!Tapon the red squares before it's too late! But avoid the others (it'snot SquaWhite, it's SquaRED).Challenge your friends sharing yourhighscores! Will you beat all the difficulty levels? 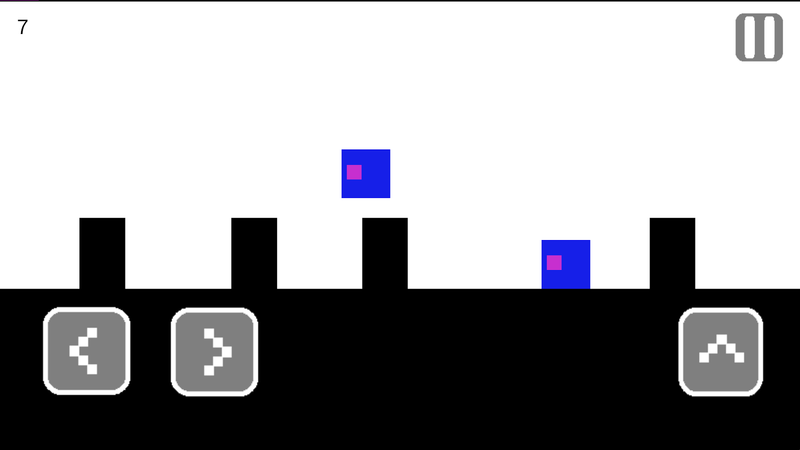 Minimalist in aesthetics, frustratingly addictive! 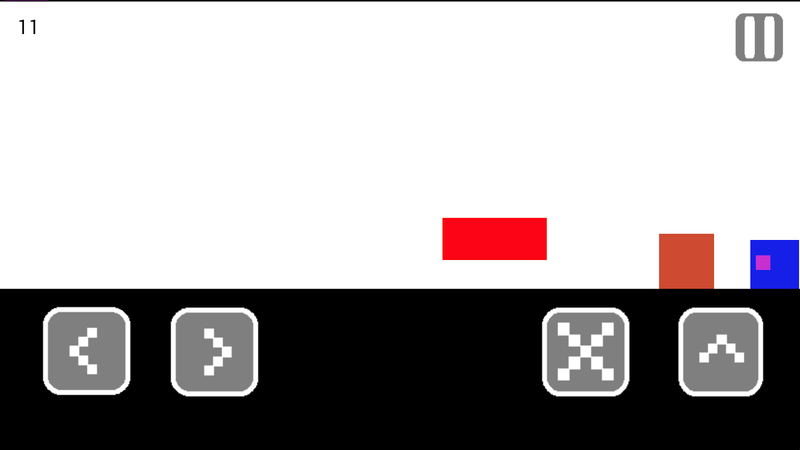 Resize thelittle squares to make them pass through the obstacles that cometheir way; the more you pass, the higher you get!1. Tap a square tomake it bigger, while the other will shrink proportionally.2. Keepcrossing tunnels! The more you cross, the higher your points willbe. Share your ranking in Facebook and show the world yourskills.3. Get and collect new level backgrounds and music. Even usethem on your social networks! This free app is a geometric calculator which is able to calculatearea and volume. Area Calculator: You are able to calculate thearea for the most important geometric figures. You can calculatethe area of circle, ellipse, rectangle, square, trapezoid,triangle, parallelogram, rhombus, sector and triangle. VolumeCalculator: You are able to calculate the volume for the mostimportant geometric objects. You can calculate the volume of cone,cube, cuboid, cylinder, sphere, square pyramid and tetrahedron.Best math tool for school and college! If you are a student, itwill help you to learn geometry! Your mission is to connect squares of the same color into givenshapes.To change the order of squares tap between the four squaresto rotate them. It may be hard from the beginning, but once you getused to it, you will not able to stop playing!Be quick and docombos to boost your score!Try to get as many stars as possible! Try to catch as many red squares as possible!For every 4 correctsquares you will get a bonus second!New: Your clicks per second areshown now!Catch The Square ist eine kleine App gegen Langeweilebeim Warten oder einfach nur ein Zeitvertreib!Ziel ist es, in 10Sekunden möglichst viele rote Quadrate zu treffen - nach jedem 4.richtigen Klick bekommst Du 1 Sekunde Bonuszeit!Neu: Deine Klickspro Sekunde werden nun angezeigt!Try to catch as many red squaresas possible!For every 4 squares correct you will get a bonussecond!New: Your clicks per second are shown now!Catch The Squareis a small app for boredom while waiting or just a pastime!Theobjective is to make as many red squares 10 seconds - after every4th right click you get one second bonus time!New: Your clicks persecond are now displayed! Simple application to calculate the diagonal of a rectangle.Introduces the sides and tells you the diagonal of the rectangle.You also have the option to enter your inch TV and tells you themeasurements of your screen! I hope you find it helpful!! 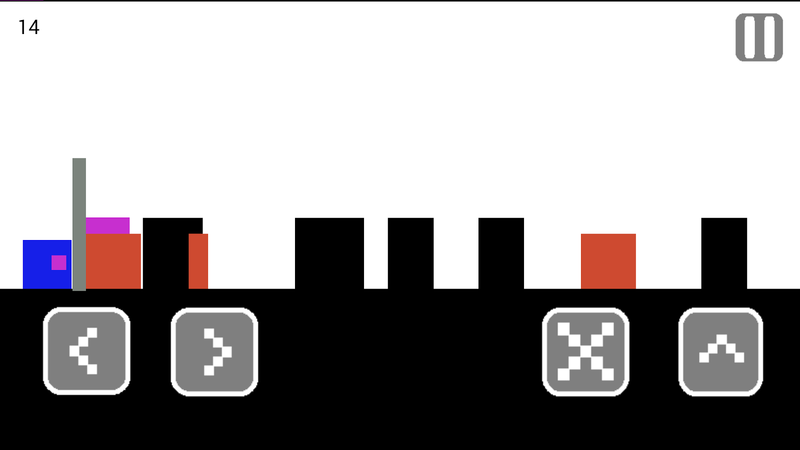 A very simple and minimalist game where you are a small square thatmoves along a straight line and crosses many other shapes along itsway. ** Notice: the maximum score is 90 pts **You have to surviveamong geometric shapes and objects. A journey in an abstract worldwith scenarios that change over time according to the objectsyou'll meet in your way.